Sage just released the latest version of their Sage 100 / Sage 100cloud Payroll module. This update is for Sage 100 2018.1+ users and can be installed independently of the main Sage 100 product updates. If you are using a version of Sage 100 prior to v2018 you need to update your payroll by using the product update or IRD (Interim Release Download) for that version. You can download the Sage 100 Payroll 2.18.5 update from here and read the what’s new details here (pdf). 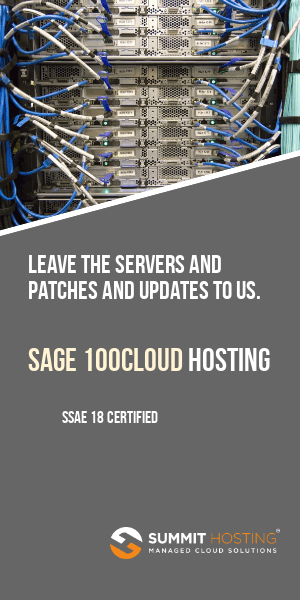 As always, we recommend you consult with your Sage partner prior to installing any updates. If you have third-party integrations you’ll need to be sure that the integrations are compatible with this new release as well.